After you’ve saved Three Month’s Expenses it’s time to move on to the big goal of 6 Months with our 6 Month’s Expenses Sinking Fund Chart! Imagine the security you will feel when you get to this point! Sinking Fund Charts are the way to save! Dave Ramsey’s Baby Step 3 instructs you to save 3 to 6 months of expenses for emergencies. By this point, you’ve saved $1,000 in an emergency fund, paid off all debt, and have your 3 Month’s Expenses in a savings account. Wow! NOW you’re ready to hit that 6 Month’s of Expenses goal! Gain access to the 6 Month’s Expenses Sinking Fund Chart below! When you print, I suggest using Card Stock for durability. Determine how much you need to save for 6 Months of Expenses and write the amount on the Goal line. Record the date you would like to have your 6 Months of Expenses fully funded. Write each increment on the lines shooting off the graphic with the smallest on the bottom. If you plan to save $30,000, you would write $3000 on the bottom line, $6000 on the next line, etc. Make your 6 Month Emergency Fund a part of your monthly budget! If you plan to save $30,000 and you want to save it in 10 months, you need to incorporate $3000 a month into your spending plan. That’s a HUGE amount, which is why we suggest starting with 3 Month’s Expenses. Open a separate account for your 6 Month Expenses so it doesn’t get spent! 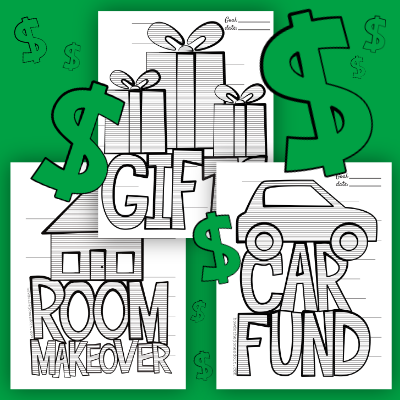 Gain access to the 6 Month’s Expenses Sinking Fund Chart here!